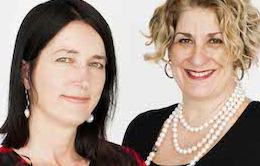 To the back drop of 9/11, Sally Duckworth (left) and Liz Smith (right) launched Litmus in 2001. As research, evaluation and design specialists, their vision is to create knowledge and design consumer-centred programmes for a just and sustainable world. “We have ants in our pants”, Sally says. For a diminutive company, Litmus achieves an extraordinary reach. “In 2015, we travelled over 77,000 kms and listened to more than 1,000 stories to understand how to make our world a better place!” Liz says. In 2015, Litmus designed an e-decision tool for students and enhanced a corporate’s nationwide invoicing system. The firm also contributed to immunisation and rheumatic fever prevention, cancer services and laid the foundation for a better health system for Tokelauans. Original generation time 3.9921 seconds. Cache Loaded in: 0.0879 seconds.